Why Dongshi Fisherman's Wharf is special ? Dongshi Fisherman’s Wharf, since the Ming and Qing dynasties, has been an important port for fishing vessels in western Taiwan. In early years, the port enjoyed abundant fishery harvests and offered various sea foods nationwide. 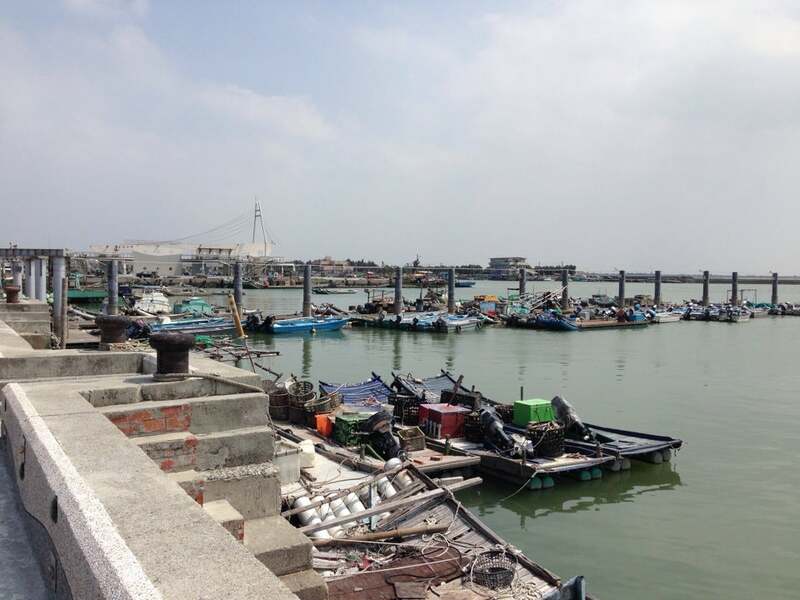 In recent years, deposition of sediment in the port transform into a tourist fishing port. The new fisherman’s wharf in which fishing port facilities have been built is 1.5-km away from the old port. The new fisherman’s wharf has now become one best place for fellows to take a walk and enjoy the beautiful ocean view. 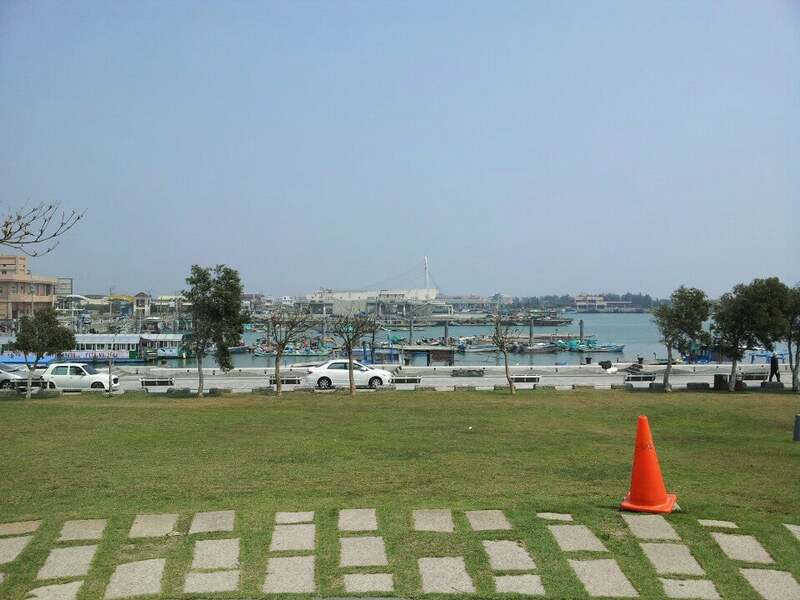 Changes from the fish market where the daily auction of fish harvesting of the current day starts at 14:00PM to production and marketing center extended to the wooden path beside embankment along the seashore are surprising in Dongshi Fishing Port. What to explore at Dongshi Fisherman's Wharf? 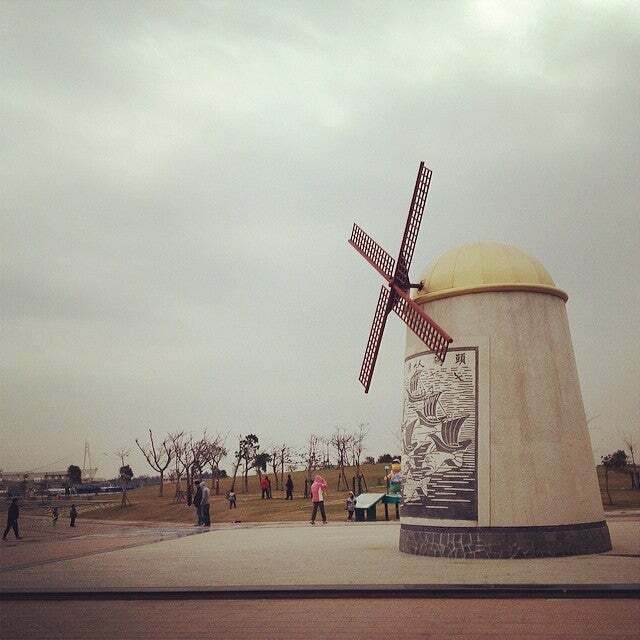 Dongshih Fisherman's Wharf is programmed to reveal different faces of the ocean-- the “wind”, the “sunshine”, the “fish”, the “boats”, the “sea” and the “light house”-- to restore its Holland style as an entrance. It is designed to be a special tourist attraction with a theme to revive local economy. Its fresh fish products, beautiful sunset, and other resources are all good tourism selling points. The special theme includes its harbor view, unique culture, the recreational activities and the natural ecological resources. So far Dongshih Fisherman's Wharf's major infrastructures include the Ocean Culture Hall, the Special Products Hall, the Shop Street, the Sea-Watching Pavilion, the Floating-Bridge Market, and the Coast Walking Platform. They combine its original fishing port values to provide multi-functional services. How to get to Dongshi Fisherman's Wharf? Xianghe Interchange → turn right Chia Road 45 → connect No. 168 County Highway, turn left and go straight → Puzi, Dongshi →Dongshi Fisherman’s Wharf. 3.Drive along Southern National Highway, and then connect to East-West Expressway No. 82, exit at Taibao Interchange and turn right to Chiayi County Government before connecting to No. 168 County Highway leading to Puzi, and turn left and go straight → Puzi → Dongshi → Dongshi Fisherman’s Wharf. 1. Take UBus Taipei─Dongshi Route in Taipei to get to the destination. 2. Take Chiayi Bus via Puzi to Dongshi (Wengang Route). 3. Take Chiayi Bus to Puzi, and then take bus at Puzi Station to Dongshi (Wengang Route). 4. Take Chiayi Bus to Puzi, transfer to a Chiayi Bus to Dongshi. 5. Take Xinying Bus to Puzi and then transfer to a Chiayi Bus to Dongshi (Wengang Route). 6. Take Taiwan Tourist Shuttle-Southwest Coast Route in Taiwan High Speed Rail Chiayi Station to get to Dongshi Fisherman’s Wharf Station. There are beaches where you can pile up sand and play in water with your families. 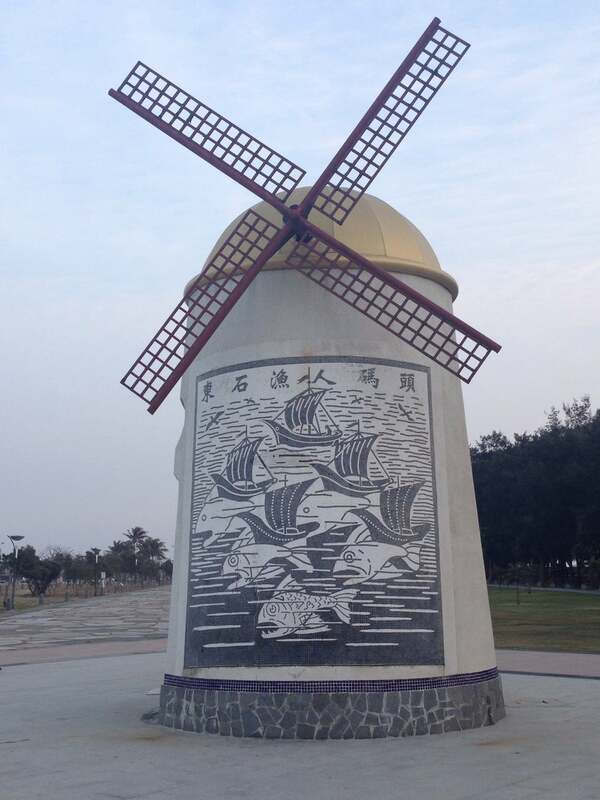 You can fly kites in the grass field or ride bicycles, enjoying leisure and comfortable time; or you can just stand on the View-Watching Platform to enjoy the mild breeze blowing from the sea and appreciate the famous Dongshih sunset. You can also enjoy the boat ride here worth NTD 300. The best place to enjoy a view of the sunset is at the entrance of Puzih River, where also a delicious seafood feast at any restaurants. There's a large parking area but it tends to be full especially on weekends. The area here is a working port with a lot of oyster beds. 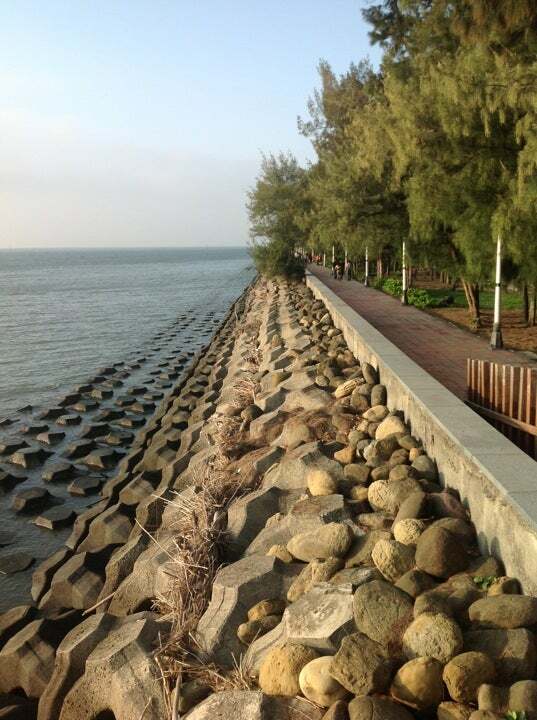 There is a small park and you can walk along the sea wall, but it doesn't hold your interest for a while. The best time to visit is when the Dragon Boat festival is on in mid June, but be prepared for the heat.